Want to see two groups who make the Republicans and Democrats look like one big, happy family? 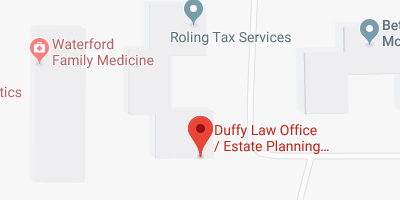 Then put into one room those attorneys who believe in probate and those who prefer their clients manage their affairs with a Revocable Living Trust. Youll get as contentious an assembly as you could possibly hope for. Just what is probate? First, its important to note that it comes in two flavors. Living probate is a legal process that determines your fate when you cannot, generally because youve been disabled by injury, illness, or mental incapacity. Death probate is the process that disposes of your estate after you die. Having a Will virtually guarantees that your estate will go through probate. But then again, so will dying without any estate plan at all. (See the Academy Free Reports, Where Theres a Will, Theres Probate, and The Nightmare of Living Probate.) While probate attorneys might be happy with these definitions, Trust attorneys would draw your attention to all the problems that come with probate: red tape, expense, publicity, delay, loss of control, and in the case of living probate, potential for personal humiliation. AARP went on to reveal that consumers nationally spend as much as $2 billion or more each year on all probate-related expenses, with attorneys fees alone representing more than $1.5 billion of that amount. The study noted that attorneys and executors fees could consume as much as 20% of small estates, and as much as 10% of even uncomplicated estates. And thats only the beginning. Add to these fees such expenses as court costs and appraisers fees, and your heirs could end up with a legacy thats considerably less than you intended. Seniors arent the only ones who may be blind-sided by probate. Their children and grandchildren may feel the bite as well. A study by American Demographics Magazine revealed that many Baby Boomers are so financially strapped today that they are deferring an important financial goal: saving for retirement. Instead, they are counting on their inheritance from Mom and Dad to help pad their meager retirement funds. Unreasonable expenses arent probates only drawbacks. Theres also the time involved. AARPs study found that probate frequently lasts longer than a year. Having a Will seemed to make no difference in the time required. In fact, it could drag the process out even longer. Lastly, when all these steps have been completed, it transfers the title to your property to your heirs, as youve instructed in your Will. At first blush, that can sound like a scary proposition. But it isnt, because you are the Trust Maker, the Trust Owner and Trust Beneficiary. So you and you alone control your Trust and the assets it owns. You can buy, sell, trade, derive income from, mortgage and give away your Trust assets, just as before. You can change your Trust, add to it, or even revoke it any time you want. Bottom line: the fact that your Trust owns your property has little, if any, impact on the way you live and conduct business each day. But what a difference the Trust makes when you die. Then, the person youve chosen to take charge of your Trust, your Successor Trustee, steps in and follows your direction for the disposition of your estate. Because you owned no property in your own name, theres no need for probate. So theres no publicity and, compared to probate, very little expense, delay or inconvenience for your family. The Living Trust isnt exactly a new idea. Its origins date back hundreds of years. More importantly for Americans, the concept has been used in the U.S. since 1765 when Patrick Henry drafted a Trust for Robert Morris, governor of the Colony of Virginia. During this century its many proponents have included John F. Kennedy, William Waldorf Astor, John D. Rockefeller, H. L. Hunt, Bing Crosby and Frank Sinatra. As consumers become better educated about the pitfalls of probate, all signs point to Living Trusts becoming even more popular in the years ahead. Now that you know all the problems that probate entails, its probably the last thing youd want to bequeath your loved ones. But is it a strategy worth pursuing only if youre a Rockefeller or Vanderbilt? Who should you turn to for help with your Living Trust? The American Academy of Estate Planning Attorneys recommends that you start with an attorney who concentrates on this area of the law. Thats the best way to ensure that your legal professional has invested the time and energy to providing you with the most current estate planning techniques. Make sure you fund your Living Trust. Remember that it only works if the title to your property has been transferred to the Trust. If you keep your property in your own name, youve defeated its purpose. These days, most financial advisors are experienced in funding Living Trusts, so be sure to turn to your advisor for help if you need it. Ideally, a Living Trust is a living, breathing document, and a plan that will serve you for many years to come. That means, however, that youve got to take the time to have it updated as your familys situation, your goals, and your needs change. A good estate planning attorney will stay in touch with you over the years to ensure your Living Trust continues to serve you well. Yes, it is true that a Living Trust will cost you more up front than a discount Will. But in estate plans, as in all other areas, you get what you pay for. The bargain you buy today might just cost you or your heirs a fortune your fortune down the road.